Back to playing with the PaperArtsy flowers today! 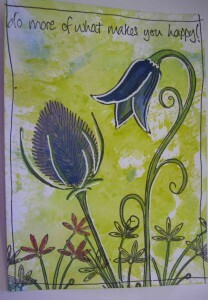 Another of my pieces with a Distress Paint background topped with the flowers from the PaperArtsy Harebell set. I quite like the randomness of the background on this piece. You don’t always have to cover every part of the background with colour – white patches are good! 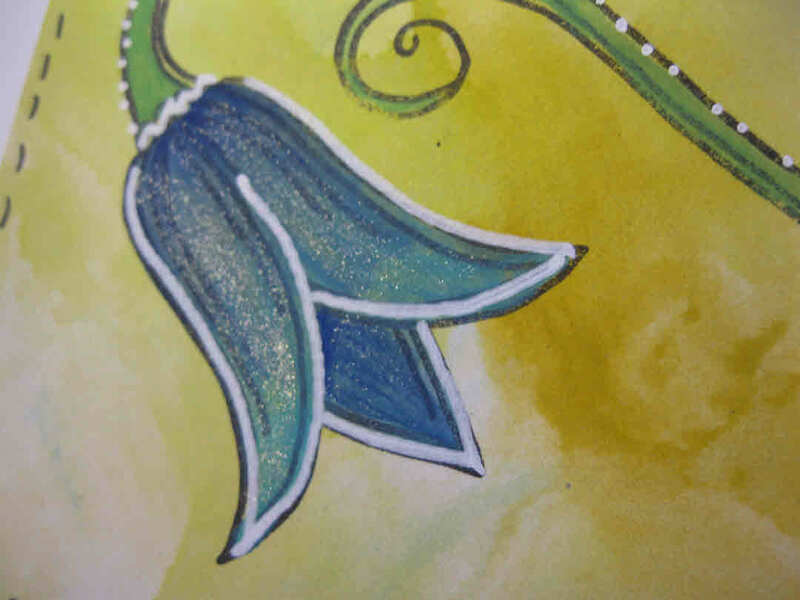 You can really see the white highlights on this one – which I’ve applied using the Sharpie White paint marker. I’ve also added some Clear Wink of Stella glitter pen to the flower – which shows up nicely in the close-up picture. Back soon with more art. PS – See me at Thetford at the Sincerely Yours Show on Sunday 6th September demostrating the above technique! Gorgeous! I do like these stamps.